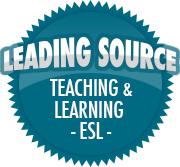 Introducing Graded Texts And Five Ways to Use them | So, You Think You Can Teach ESL? If reading exists on a continuum, then intensive reading occupies the end where students work heavily on reading skills. Intensive lessons generally include much frontloading in the form of vocabulary work and schema building. Next, while students read, they work on additional skills such as scanning for the main idea or making inferences. Multi-lingual readers may also be decoding syntax to work out the relationship between words, phrases and sentences. These are important skills, and reading course books provide valuable scaffolding to help classroom participants meet curricular objectives.